Happy Friday! Who's pumped for the weekend? We're headed to the land of slow internet to visit my family. I always enjoy a nice little break from civilization. Today we have a slight change in our regularly schedule programming. 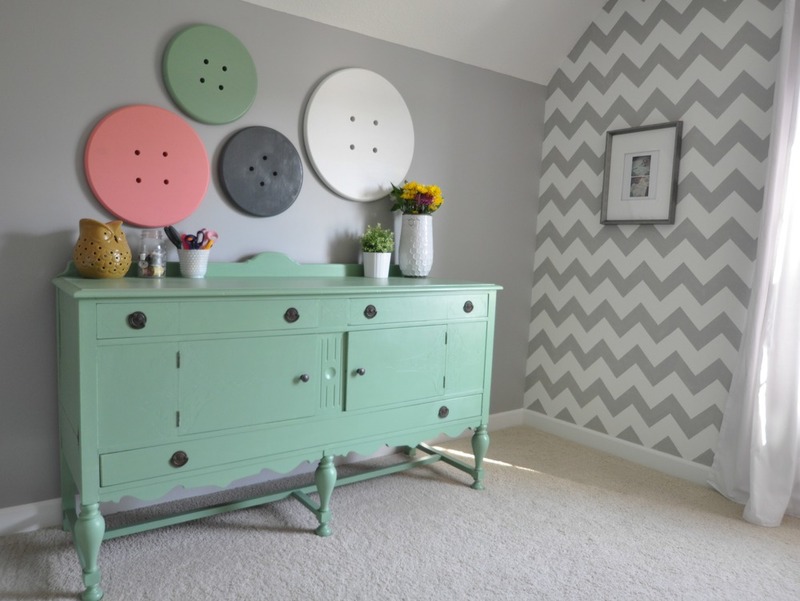 Last week I shared my newly stenciled craft room where I used the Royal Design Studio chevron wall stencil. Today Royal Design Studio is offering a stencil giveaway! There are so many great options to choose from! Nate and I generally aren't that couple that tells the other what they can and can't do. But there are a few things we have agreed on. I'm not allowed to wallpaper. He's not allowed to sky dive. Deal. Luckily, stenciling is basically like wallpaper. It's not extremely difficult. Time consuming, yes. Difficult, no. Overall, you get the same effect but you can easily paint over it. I said our powder room was the last room I would stencil. And then the craft room happened. Wonder which room will be my next victim? PRIZE: One stencil $50 or less with free shipping included! OTHER STUFF: U.S. Residents only. The winner will be selected using Rafflecopter and announced on Monday, September 23rd. Good luck!